This body of work depicts a selection of abstract and figurative works that all share a theme of life in London, specifically focusing on the routine outside of a 9-5 routine. Yentis’ last few solo exhibitions have represented a rather cosmic and dream-like theme, however this one is more focused on the reality of everyday life. A melody of intangible approaches to portrait and abstract painting to keep the theme of a vibrant city that holds such diversity within culture, work routine, both visual and non. 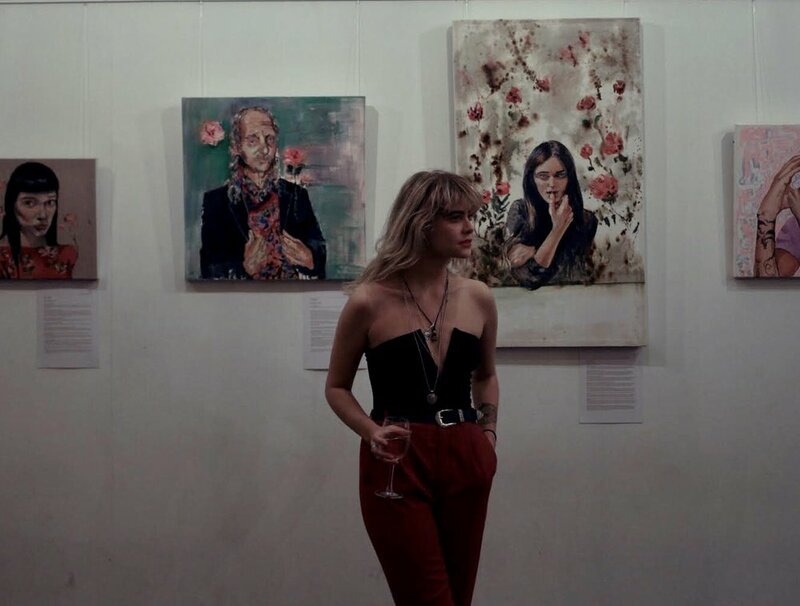 Yentis includes interviews with the subjects she has painted; these add an understanding of personal experience within the theme, a way in which the exhibition is a communal experience in which people have come together and shared.